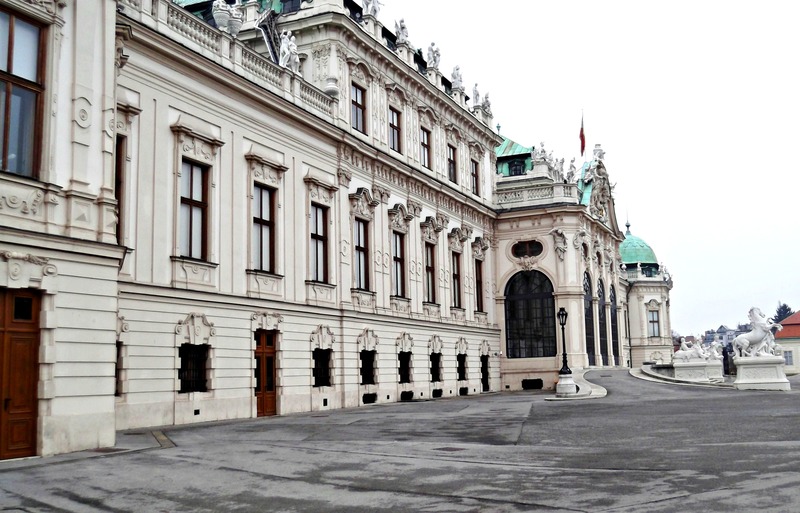 My most important reason to visit the Belvedere Palace in the third district of Vienna was the world’s largest Gustav Klimt collection, which is housed in the Upper Belvedere Palace. 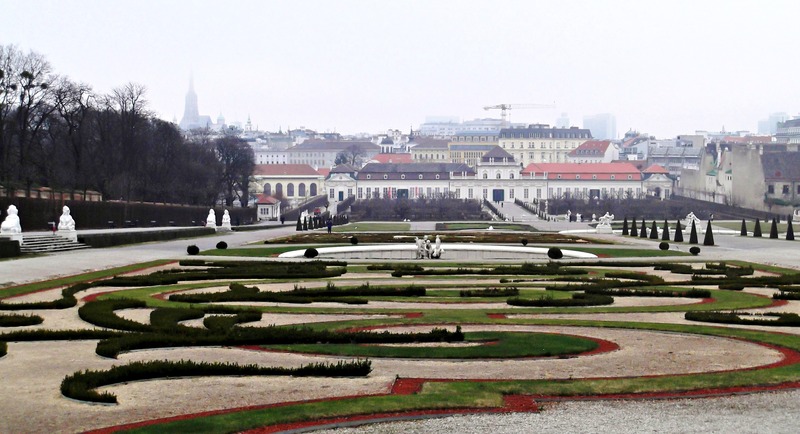 The Belvedere Palace complex consists of the so-called Upper Belvedere Palace, the Lower Belvedere Palace, the Orangery, and the Palace Stables. 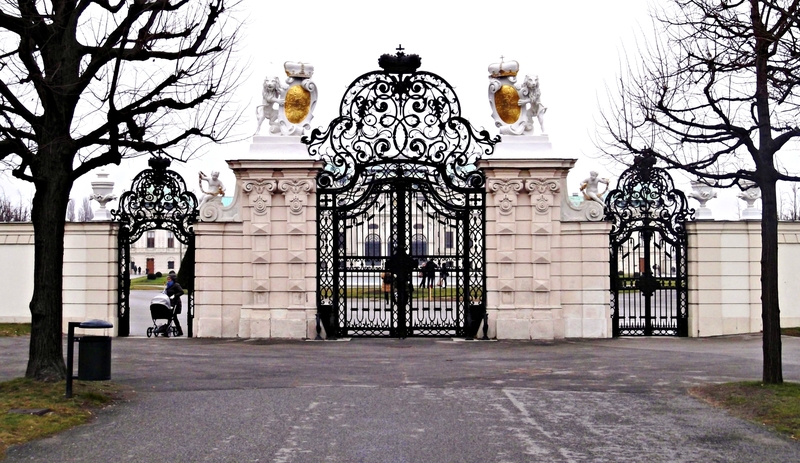 When you delve into Vienna’s architectural history, you constantly come across two names: Johann Bernhard Fischer von Erlach and Johann Lukas von Hildebrandt. 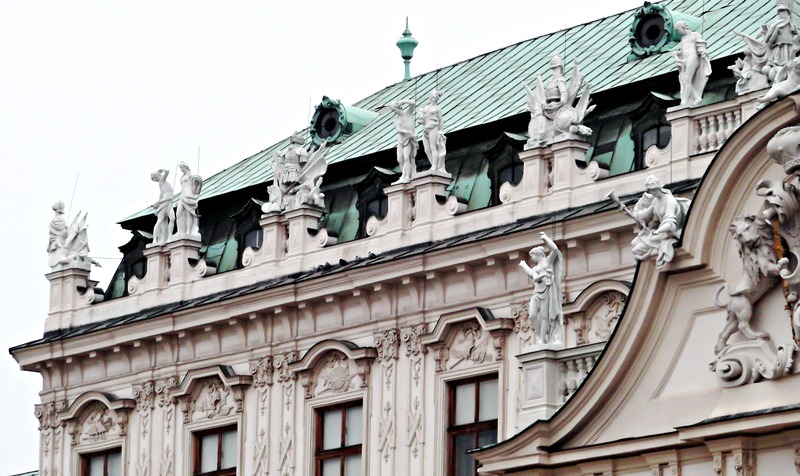 They are the architects who built most of the prominent Baroque buildings, which are so characteristic of Vienna. 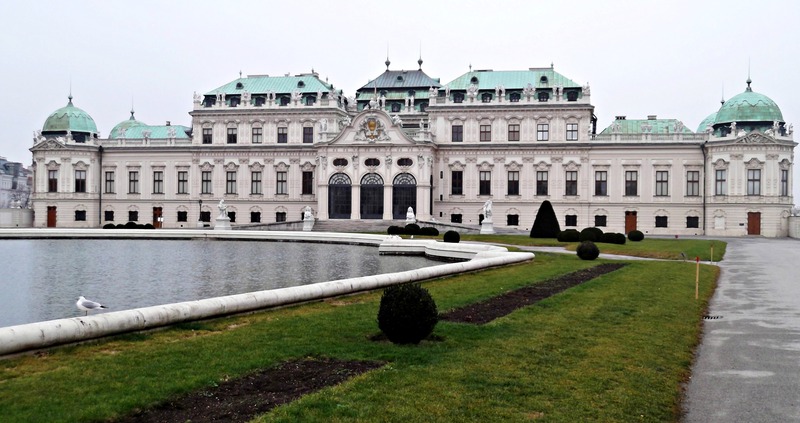 The Belvedere complex was built during a time of prosperity, where Vienna was both the home to the ruling Habsburg dynasty and the de facto capital of the Holy Roman Empire. Johann Lukas von Hildebrandt was the chief architect of this complex, which was built as a summer residence for Prince Eugene of Savoy. The Lower Belvedere was finished in 1716, the Upper Belvedere Palace in 1723. The archetype of all Baroque palaces was of course the Versailles Palace near Paris. But Belvedere was only a summer residence, and Prince Eugene was not the ruler of the Holy Roman Empire, so the proportions of this palace complex are rather modest. But at least the gardens follow the French example as to the landscaping style (even if they are smaller than Versailles). Dominique Girard, a pupil of Versailles’ garden architect Le Nôtre, designed the scenery. 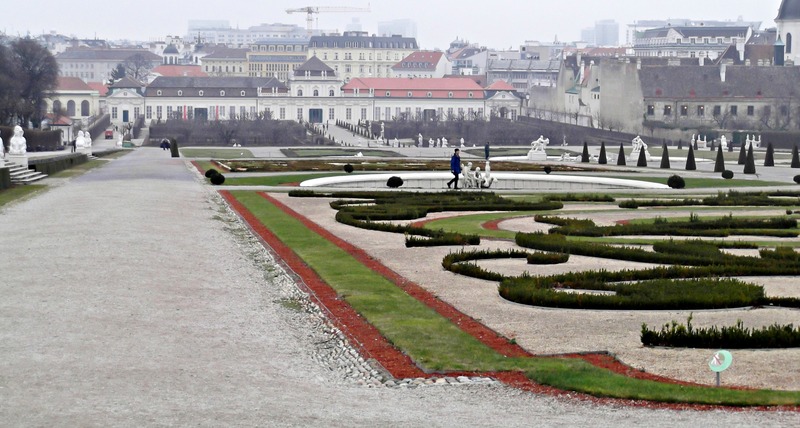 The Baroque gardens include fountains, sculptures and a lot of symmetrical beds and bushes. But let’s get back to the reason why I went here in the first place. The Upper Belvedere houses a permanent exhibition of Austrian art from the Middle Ages to the present day, and as I said, the world’s largest Gustav Klimt collection. And on this day, I probably won the prize as the museum’s fastest visitor. 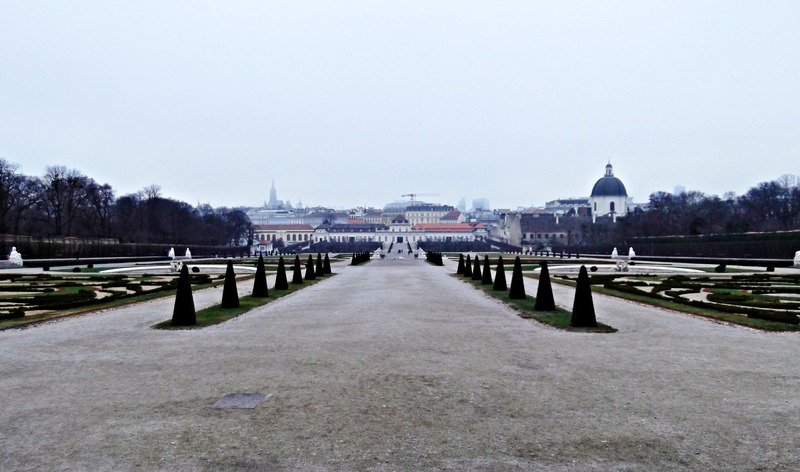 As I had only one day in Vienna, I’d tried to squeeze a lot of things in my schedule ( I didn’t want to, but it was so hard to decide what to see). 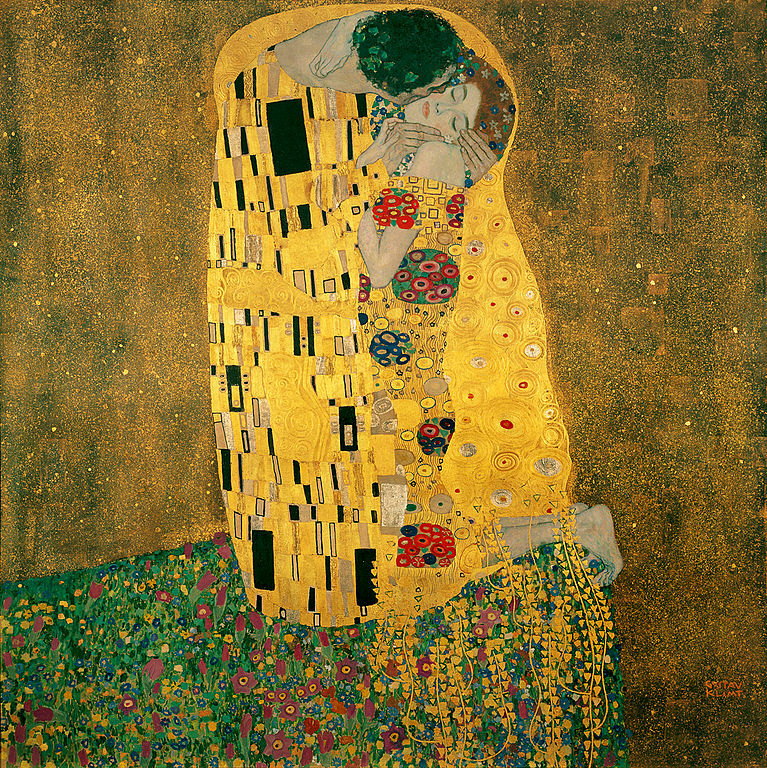 And to experience in person many of the most famous Klimt paintings, this was something that I couldn’t miss. So I literally ran through the two Klimt show rooms, just to catch a glimpse of those beautiful paintings. And it’s really worth it, they are even more beautiful in nature than in photographs. Unfortunately, it is not allowed to take any pictures inside the museum. As small comfort, I’ll show you two of Klimt’s works that you can see in the Upper Belvedere, taken from Wikipedia. The Art Nouveau Movement’s Exhibition Hall in Vienna, Austria. 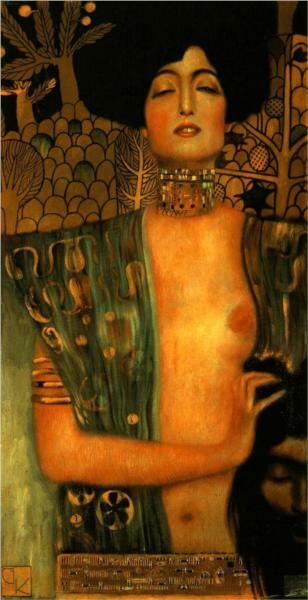 I love Klimt. 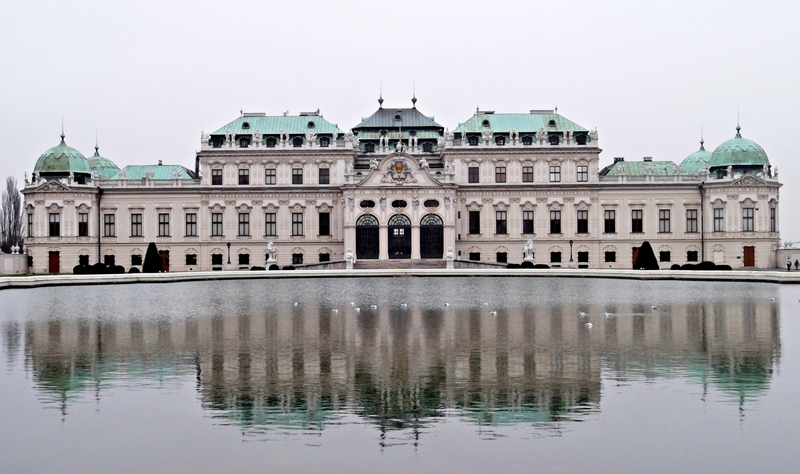 I go to Vienna often, but I haven’t been to the Belvedere yet. I hope to go sometime this summer. You have to! The paintings are so incredibly beautiful when you see them in reality. What a magnificent building and interesting history too. Thanks. I enjoyed reading and love your photos. One of the best palaces out there… loved it. Yes, unfortunately I had too little time to explore it thoroughly. That is unfortunately almost always the case with most of our good trips… you at least got time enough to get some great memories back. Vielen Dank! Noch mehr Wien Bilder kommen bald! Vienna is a beautiful city. I have visited once (a trip entailing a holiday in both Vienna and Budapest) and would like to go there again. Yes, it’s very beautiful. I hope I can go to Vienna again soon. Will do… Keep up the mavelous job on your blog as well.